Over the last four years the price gap between oil and mains gas has narrowed according to the Sutherland tables, which compares the cost of fuels used to provide space heating and hot water. Since the mid 70s Sutherland Comparative Domestic Heating Costs Tables have been providing comparative costs for domestic heating. Their impartial and informative figures are regularly utilised by a range of companies and organisations including energy agencies, fuel suppliers and even the Government. The latest independent figures, published quarterly, reveal that over the last four years the price gap between the two fuels has narrowed. As reported in Heating and Plumbing Monthly, while the gap was 48% in 2008 it now currently stands at 37%. The news follows the Department of Energy and Climate Change’s recent announcement regarding fuel poverty figures. According to DECC the number of households in the UK classed as fuel poor fell from 5.5 million in 2009 to 4.75 million in 2010. The report highlighted the impact of improvements to the energy efficiency of UK housing stock, particularly in relation to the installation of energy efficient central heating boilers, with 32% of households fitting condensing boilers in 2010, up on the 24% in 2009. “Oil is still one of the most competitive fuels for off gas main properties in rural areas, and it’s reassuring that the move towards condensing boilers has helped contribute to a reduction in fuel poverty,” said Jeremy Hawksley, OFTEC’s director general. For households not connected to mains gas LPG remains the most expensive type of fuel. 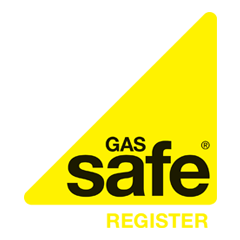 For an average 3 bedroom home using LPG, it would cost £1,929 a year to provide space heating and hot water compared to oil which would cost £1,408 annually.